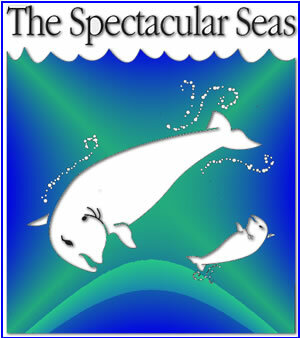 You perform THE SPECTACULAR SEAS, which is listed as a "black-light" show. THE SPECTACULAR SEAS, which requires pitch dark conditions, appears to be taking place underwater. Black-light is another name for ultra violet light. When any puppets or props that are treated with certain kinds of paints pass near these ultra violet lights, they glow in the dark. This show has been performed at the National Aquarium, the Tennesee Aquarium and many science museums around the U.S.
As a sponsor, what do I need to provide when PUPPETS TO GO is performing? Nothing. I am totally self-contained, bringing my own lighting and sound system. I only require access to an electrical outlet. Are study guides for teachers available? THE SPECTACULAR SEAS. They feature ideas to be discussed before PUPPETS TO GO arrives at your venue, vocabulary words, as well as follow-up topics at the conclusion of the show. THE SPECTACULAR SEAS and hearing the audience reaction to the black light effects. Why should I hire PUPPETS TO GO? I have been performing as a professional puppeteer for 23 years and I take this ancient art form very seriously. Much of my business is from people who have hired PUPPETS TO GO previously, and that says it all.